272. Language of Courts. - The State Government may determine what shall be, for purposes of this Code, the language of each Court within the State other than the High Court. 273. Evidence to be taken in presence of accused. - Except as otherwise expressly provided, all evidence taken in the course of the trial or other proceeding shall be taken in the presence of the accused, or, when his personal attendance is dispensed with, in the presence of his pleader. Explanation. 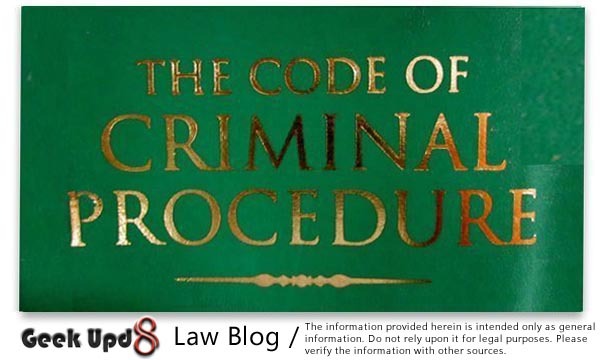 - In this Section, "accused" includes a person in relation to whom any proceeding under Chapter VIII has been commenced under this Code. Provided that if the Magistrate is unable to make such memorandum himself, he shall, after recording the reason of his inability, cause such memorandum to be made in writing or from his dictation in open Court. (2) Such memorandum shall be signed by the Magistrate and shall form part of the record. 275. Record in warrant-cases. - (1) In all warrant-cases tried before a Magistrate, the evidence of each witness shall, as his examination proceeds, be taken down in writing either by the Magistrate himself or by his dictation in open court or, where he is unable to do so owing to a physical or other incapacity, under his direction and superintendence, by an officer of the Court appointed by him in this behalf. (2) Where the Magistrate causes the evidence to be taken down, he shall record a certificate that the evidence could not be taken down by himself for the reasons referred to in sub-Section (1). (3) Such evidence shall ordinarily be taken down in the form of a narrative; but the Magistrate may, in his discretion take down, or cause to be taken down, any part of such evidence in the form of question and answer. (4) The evidence so taken down shall be signed by the Magistrate and shall form part of the record. 276. Record in trial before Court of Session. - (1) In all trials before a Court of Session, the evidence of each witness shall, as his examination proceeds, be taken down in writing either by the presiding Judge himself or by his dictation in open Court or, under his direction and superintendence, by an officer of the Court appointed by him in this behalf. (3) The evidence so taken down shall be signed by the presiding Judge and shall form part of the record. Provided that when under clause (b) evidence is taken down in English and a translation thereof in the language of the Court is not required by any of the parties, the Court may dispense with such translation. 278. Procedure in regard to such evidence when completed. - (1) As the evidence of each witness taken under Section 275 or Section 276 is completed, it shall be read over to him in the presence of the accused, if in attendance, or of his pleader, if he appears by pleader, and shall, if necessary, be corrected. (2) If the witness denies the correctness of any part of the evidence when the same is read over to him, the Magistrate or presiding Judge may, instead of correcting the evidence, make a memorandum thereon of the objection made to it by the witness and shall add such remarks as he thinks necessary. (3) If the record of the evidence is in a language different from that in which it has been given and the witness does not understand that language, the record shall be interpreted to him in the language in which it was given, or in a language which he understands. 279. Interpretation of evidence to accused or his pleader. - (1) Whenever any evidence is given in a language not understood by the accused, and he is present in Court in person, it shall be interpreted to him in open Court in a language understood by him. (2) If he appears by pleader and the evidence is given in a language other than the language of the Court, and not understood by the pleader, it shall be interpreted to such pleader in that language. (3) When documents are put for the purpose of formal proof, it shall be in the discretion of the Court to interpret as much thereof as appears necessary. 280. Remarks respecting demeanour of witness. - When a presiding Judge or Magistrate has recorded the evidence of a witness, he shall also record such remarks (if any) as he thinks material respecting the demeanour of such witness whilst under examination. 281. Record of examination of accused. - Whenever the accused is examined by a Metropolitan Magistrate, the Magistrate shall make a memorandum of the substance of the examination of the accused in the language of the Court, and such memorandum shall be signed by the Magistrate and shall form part of the record. (2) Whenever the accused is examined by any Magistrate other than a Metropolitan Magistrate, or by a Court of Session, the whole of such examination, including every question put to him and every answer given by him, shall be recorded in full by the presiding Judge or Magistrate himself or where he is unable to do so owing to a physical or other incapacity, under his direction and superintendence by an officer of the Court appointed by him in this behalf. (3) The record shall, if practicable, be in the language in which the accused is examined or, if that is not practicable, in the language of the Court. (4) The record shall be shown or read to the accused, or, if he does not understand the language in which it is written, shall be interpreted to him in a language which he understands, and he shall be at liberty to explain or add to his answers. (5) It shall thereafter be signed by the accused, and by the Magistrate or presiding Judge, who shall certify under his own hand that the examination was taken in his presence and hearing and that the record contains a full and true account of the statement made by the accused. (6) Nothing in this Section shall be deemed to apply to the examination of an accused person in the course of a summary trial. 282. Interpreter to be bound to interpret truthfully. - When the services of an interpreter are required by any Criminal Court for the interpretation of any evidence or statement, he shall be bound to state the true interpretation of such evidence or statement. 283. Record in High Court. - Every High Court may, by general rule, prescribe the manner in which the evidence of witnesses and the examination of the accused shall be taken down in cases coming before it; and such evidence and examination shall be taken down in accordance with such rule. Provided that where the examination of the President or the Vice- President of India or the Governor of a State or the Administrator of a Union territory as a witness is necessary for the ends of justice, a commission shall be issued for the examination of such a witness. (2) The Court may, when issuing a commission for the examination of a witness for the prosecution, direct that such amount as the Court considers reasonable to meet the expenses of the accused, including the pleader's fees, be paid by the prosecution. 285. Commission to whom to be issued. - (1) If the witness is within the territories to which this Code extends, the commission shall be directed to the Chief Metropolitan Magistrate or Chief Judicial Magistrate, as the case may be, within whose local jurisdiction the witness is to be found. (2) If the witness is in India, but in a State or an area to which this Code does not extend, the commission shall be directed to such Court or officer as the Central Government may, by notification, specify in this behalf. (3) If the witness is in a country or place outside India and arrangements have been made by the Central Government with the Government of such country or place for taking the evidence of witnesses in relation to criminal matters, the commission shall be issued in such form, directed to such Court or officer, and sent to such authority for transmission, as the Central Government may, by notification, prescribe in this behalf. 286. Execution of commissions. - Upon receipt of the commission, the Chief Metropolitan Magistrate or Chief Judicial Magistrate, or such Metropolitan or Judicial Magistrate as he may appoint in this behalf, shall summon the witness before him or proceed to the place where the witness is, and shall take down his evidence in the same manner, and may for this purpose exercise the same powers, as in trials of warrant cases under this Code. 287. Parties may examine witnesses. - (1) The parties to any proceeding under this Code in which a commission is issued may respectively forward any interrogatories in writing which the Court or Magistrate directing the commission may think relevant to the issue, and it shall be lawful for the Magistrate, Court or officer to whom the commission is directed, or to whom the duty of executing it is delegated, to examine the witness upon such interrogatories. (2) Any such party may appear before such Magistrate, Court or officer by pleader, or if not in custody, in person, and may examine, cross-examine, and re-examine (as the case may be) the said witness. 288. Return of commission. - (1) After any commission issued under Section 284 has been duly executed, it shall be returned, together with the deposition of the witness examined thereunder, to the Court or Magistrate issuing the commission; and the commission, the return thereto and the deposition shall be open at all reasonable times to inspection of the parties, and may be, subject to all just exceptions, be read in evidence in the case by either party, and shall form part of the record. (2) Any deposition so taken, if it satisfies the conditions prescribed by Section 33 of the Indian Evidence Act, 1872 (1 of 1872) may also be received in evidence at any subsequent stage of the case before another Court. 289. Adjournment of proceeding. 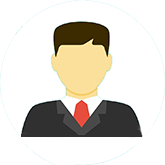 - In every case in which a commission is issued under Section 284, the inquiry, trial or other proceeding may be adjourned for a specified time reasonably sufficient for the execution and return of the commission. 290. Execution of foreign commissions. - (1) The provisions of Section 286 and so much of Section 287 and Section 288 as relate to the execution of a commission and its return shall apply in respect of commissions issued by any of the Courts, Judges or Magistrates hereinafter mentioned as they apply to commissions issued under Section 284. (b) any Court, Judge or Magistrate exercising jurisdiction in any such country or place outside India, as the Central Government may, by notification, specify in this behalf, and having authority, under the law in force in that country or place, to issue commissions for the examination of witnesses in relation to criminal matters. 291. Deposition of medical witness. - (1) The deposition of a Civil Surgeon or other medical witness, taken and attested by a Magistrate in the presence of the accused, or taken on commission under this Chapter, may be given in evidence in any inquiry, trial or other proceeding under this Code, although the deponent is not called as a witness. (2) The Court may, if it thinks fit, and shall, on the application of the prosecution or the accused, summon and examine any such deponent as to the subject-matter of his deposition. Provided that where such report contains a statement of any suspect or witness to which the provisions of Section 21, Section 32, Section 33, Section 155 or Section 157, as the case may be, of the Indian Evidence Act, 1872 (1 of 1872), apply, such statement shall not be used under this sub-Section except in accordance with the provisions of those Sections. [292. Evidence of officers of the Mint. - (1) Any document purporting to be a report under the hand of any such [officer of any Mint or of any Note Printing Press or of any Security Printing Press (including the officer of the Controller of Stamps and Stationery) or of any Forensic Department or Division of Forensic Science Laboratory or any Government Examiner of Questioned Documents or any State Examiner of Questioned Documents, as the case may be,] as the Central Government may, by notification, specify in this behalf, upon any matter or thing duly submitted to him for examination and report in the course of any proceeding under this Code, may be used as evidence in any inquiry, trial or other proceeding under this Code, although such officer is not called as a witness. Provided that no such officer shall be summoned to produce any records on which the report is based. (b) to disclose the nature or particulars of any test applied by him in the course of examination of the matter or thing. 293. Reports of certain Government scientific experts. - (1) Any document purporting to be a report under the hand of a Government scientific expert to whom this Section applies, upon any matter or thing duly submitted to him for examination or analysis and report in the course of any proceeding under this Code, may be used as evidence in any inquiry, trial or other proceeding under this Code. (2) The Court may, if it thinks fit, summon and examine any such expert as to the subject-matter of his report. (3) Where any such expert is summoned by a Court and he is unable to attend personally, he may, unless the Court has expressly directed him to appear personally, depute any responsible officer working with him to attend the Court, if such officer is conversant with the facts of the case and can satisfactorily depose in Court on his behalf. (f) the Serologist to the Government. 294. No formal proof of certain documents. - (1) Where any document is filed before any Court by the prosecution or the accused, the particulars of every such document shall be included in a list and the prosecution or the accused, as the case may be, or the pleader for the prosecution or the accused, if any, shall be called upon to admit or deny the genuineness of each such document. (2) The list of documents shall be in such form as may be prescribed by the State Government. Provided that the Court may, in its discretion, require such signature to be proved. 295. Affidavit in proof of conduct of public servants. - When any application is made to any Court in the course of any inquiry, trial or other proceeding under this Code, and allegations are made therein respecting any public servant, the applicant may give evidence of the facts alleged in the application by affidavit, and the Court may, if it thinks fit, order that evidence relating to such facts be so given. 296. Evidence of formal character on affidavit. - (1) The evidence of any person whose evidence is of a formal character may be given by affidavit and may, subject to all just exceptions, be read in evidence in any inquiry, trial or other proceeding under this Code. (2) The Court may, if it thinks fit, and shall, on the application of the prosecution or the accused, summon and examine any such person as to the facts contained in his affidavit. (c) any Notary appointed under the Notaries Act, 1952 (53 of 1952). (2) Affidavits shall be confined to, and shall state separately, such facts as the deponent is able to prove from his own knowledge and such facts as he has reasonable ground to believe to be true, and in the latter case, the deponent shall clearly state the grounds of such belief. (3) The Court may order any scandalous and irrelevant matter in the affidavit to be struck out or amended. (b) in case of a conviction, either by a certificate signed by the officer in charge of the jail in which the punishment or any part thereof was undergone, or by production of the warrant of commitment under which the punishment was suffered, together with, in each of such cases, evidence as to identity of the accused person with the person so convicted or acquitted. 299. Record of evidence in absence of accused. - (1) If it is proved that an accused person has absconded, and that there is no immediate prospect of arresting him, the Court competent to try [or commit for trial], such person for the offence complained of, may, in his absence, examine the witnesses (if any) produced on behalf of the prosecution, and record their depositions and any such deposition may, on the arrest of such person, be given in evidence against him on the inquiry into, or trial for, the offence with which he is charged, if the deponent is dead or incapable of giving evidence or cannot be found or his presence cannot be procured without an amount of delay, expense or inconvenience which, under the circumstances of the case, would be unreasonable. (2) If it appears that an offence punishable with death or imprisonment for life has been committed by some person or persons unknown, the High Court or the Sessions Judge may direct that any Magistrate of the first class shall hold an inquiry and examine any witness who can give evidence concerning the offence and any depositions so taken may be given in evidence against any person who is subsequently accused of the offence, if the deponent is dead or incapable of giving evidence or beyond the limit of India.